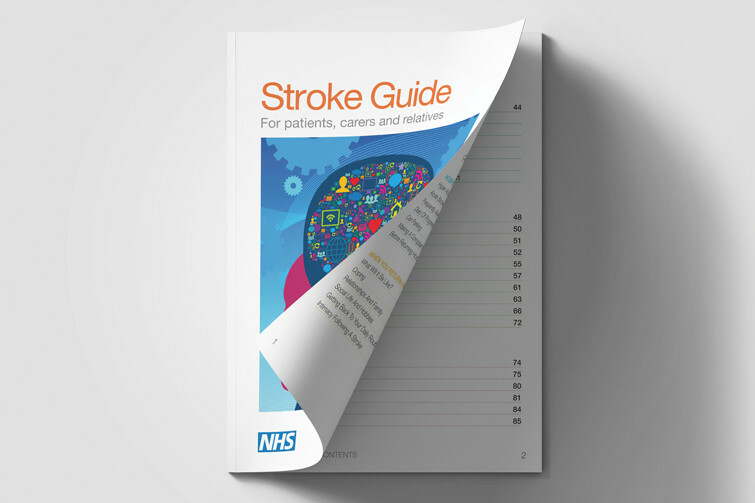 TravisBead were approached by Milton Keynes Hospital NHS Foundation Trust, in conjunction with Milton Keynes Council and the Milton Keynes Community Health Service to produce a guide for recent stroke sufferers. 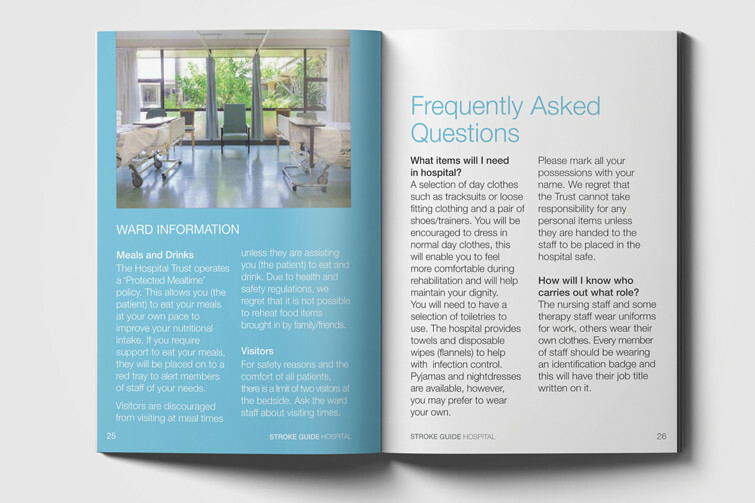 The guide was a resource pack given to patients and their families to aid their recovery and supply information and help at a difficult time. Whilst the guide had to contain serious and sometimes technical information our aim was to keep it fresh and upbeat. 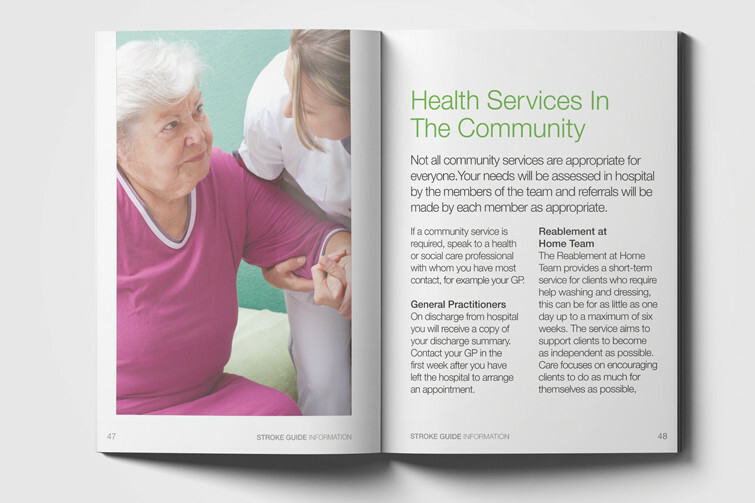 The focus was on rehabilitation and positive outcomes, whilst handling the more negative aspects of strokes with care and sensitivity. Due to the fact that this pack would be used by recovering patients it needed to be accessible and clear. 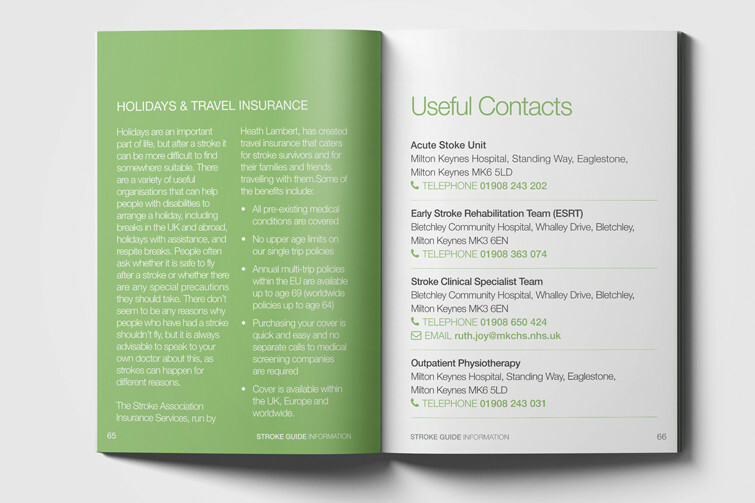 The colour coded sections aided navigation through the guide and the larger typefaces allowed for easier reading. We are proud to have been a part of this project! The focus was on rehabilitation and positive outcomes, whilst handling the more negative aspects of strokes with care and sensitivity.